It’s July and we’re picking up right where we left off – sort of. Over the last month, the drawings have hit the drywall. 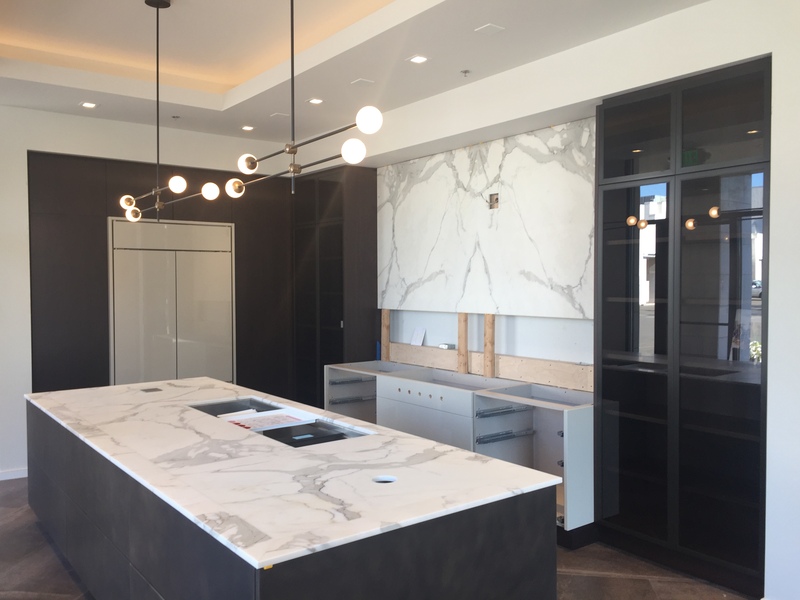 The Milano display is no longer measurements and samples of materials, it’s in our showroom! Since the process really does seem to happen so quickly, we wanted to slow it down and give you a play-by-play. 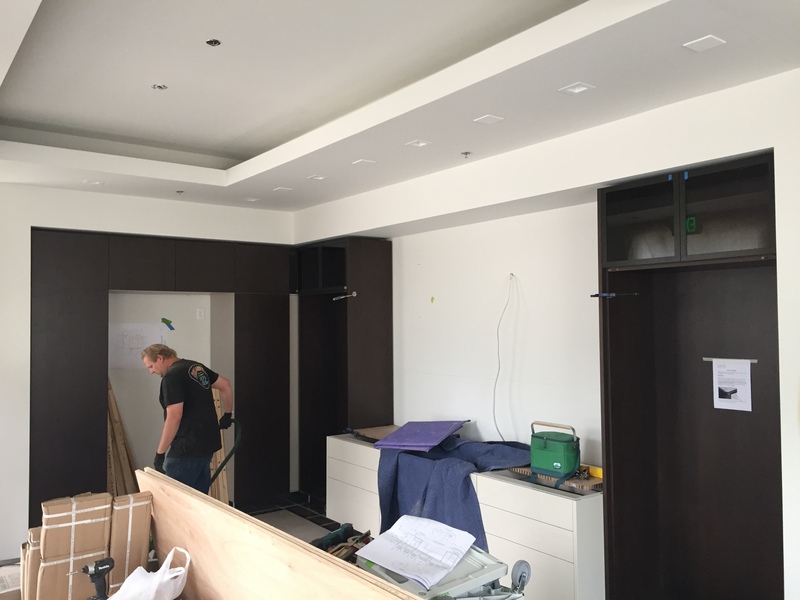 The first elements to be installed are the perimeter cabinets. Even in such a bare scenario, the rich walnut instantly prepares the space for elegance. The vertical and lean cabinetry style, a clear nod to the original Milano inspiration. 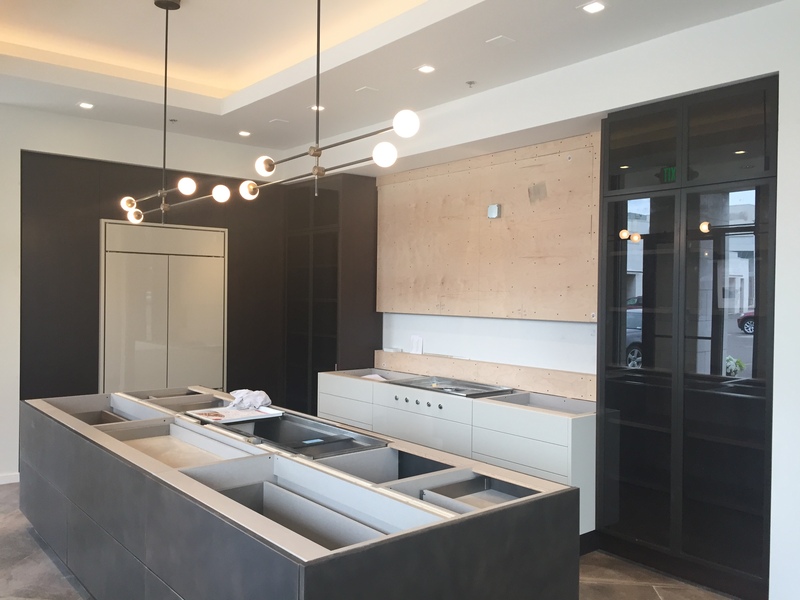 The perimeter cabinetry also anchors the space and is prepared to house the majority of the display’s appliances. Next, the bronze island is assembled. 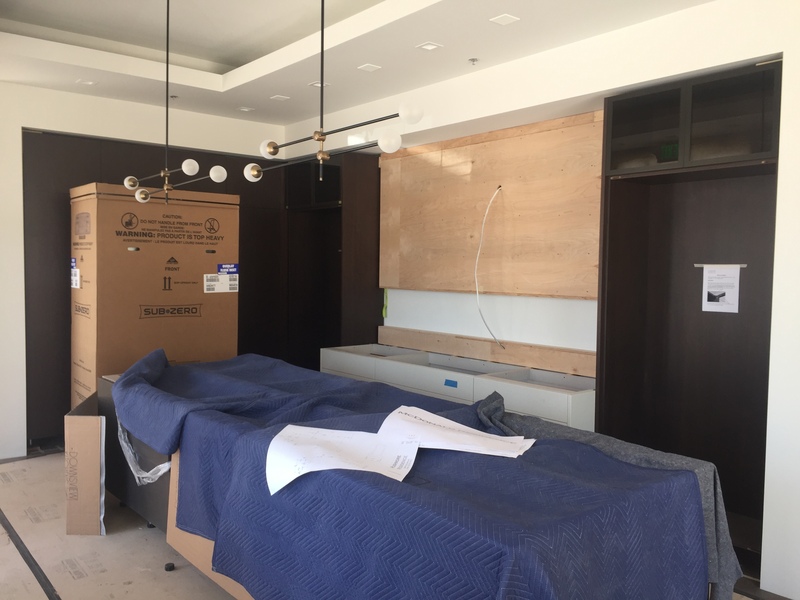 The Sub-Zero is brought in, lights installed and the hearth is prepped for the grand Calcatta backsplash. Keeping every surface protected as the process moves along is important with any job we do. Now we’re really starting to get the picture. The taupe and glass cabinetry give the Milano display a sleek and sophisticated look. Long lines and clear-cut boundaries create the contemporary style while the rich materials give depth and warmth to the kitchen. Then, the stunning Calcatta marble is placed. The marble countertops compliment the bookmatched backsplash and elevate the space from stunning to spectacular. With the addition of the marble – the layers within the design start to build depth and simultaneously flow together.